Silverglades, in collaboration with ITC Limited, were co-developers of the Classic Golf Resort in Delhi, home to South Asia's first signature Jack Nicklaus golf course. This was followed by the commissioning of India's first gated community, the Tarudhan Valley Golf Resort, which is a mere kilometre away from the Classic Golf Resort. Silverglades is renowned in India for premium developments in real estate that include celebrated condominiums like The Laburnum and The Ivy. BCRE is a leading international owner, developer and manager of large-scale real estate projects and related M&A activities. Over the past fourteen years, BCRE has acted as a principal in investments totalling over USD 8 billion and as a developer and investor has lead projects totalling over 40 million sq. ft. of office, retail, and residential space. 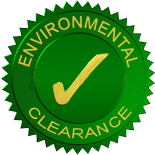 The group has built a global presence with offices and teams in North America, Europe, and Asia. IIRF II is the second Real Estate vehicle of IL&FS Investment Managers Limited (IIML) for investing in FDI compliant real estate projects in India. IIML is one of the oldest and largest private equity fund managers in India, with over US$ 2.8 bn under management with investments spanning General Purpose Private Equity, Infrastructure and Real Estate. 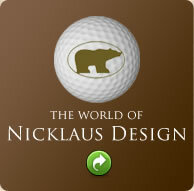 Founded by the legend Jack Nicklaus, Nicklaus Design is the world's foremost golf course design firm. Their passion for golf and attention to detail are evident at The Imperial Golf Estate. With over 340 courses open for play in 35 countries, Nicklaus Design is renowned for its exceptional ethos: working closely with clients, enhancing the natural environment of a course, and creating courses that are challenging and enjoyable for players of all levels. Ramesh Khosla is a member of ARCOP Associates, a firm of designers, architects, urban planners and interior designers based in Montreal, Canada, and the winner of the Aga Khan Award for the ITC Mughal hotel in Agra. He is the mastermind behind landmarks such as the World Trade Concourse in New York; the Longueil New Town and Holiday Inn in Montreal; Hotel Intendance Bay, Seychelles; the Centrum in Los Angeles; and, the Classic Golf Resort in Gurgaon. A pioneering initiative by Pradeep Jain, the Silverglades Golf Development Company was founded in 2005 as a subsidiary of Group Silverglades. SGDC is India's only integrated golf course development company with all the necessary know-how, expertise and skill sets to take on key golf course development projects, from conception to completion, offering marketing and sales advisory services as well. The SGDC team has developed tournament standard golf properties in this country including Classic Golf Resort, Jaypee Greens, Tarudhan Valley and the Army Golf Course, Dhaula Kuan. TaylorMade, one of the world's largest manufacturers of golf clubs, is a subsidiary of the international Adidas Group, a brand that is synonymous with sports clothing and high performance footwear for a variety of sports. Hence, the Imperial Golf Estate pro shop is under the retail management of TaylorMade and Adidas, a perfect location for them to showcase their products.